As temperatures drop utility scams begin heating up. Consumers rely more on their utilities during the winter months and scammers aim to take advantage. Utility imposters call, email or knock on your door and claim to be a representative from the local water, electric or gas company. Nov. 14 is Utility Scam Awareness Day, and Better Business Bureau wants to make sure Connecticut residents have the tools they need to not get scammed. 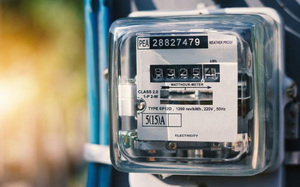 In most scenarios, consumers are informed that a payment is overdue, and their utilities will be shut off unless an immediate payment is made. In September, one Connecticut resident reported that they received a phone call claiming their power would be turned off in thirty minutes unless they dialed a 1-800 number and paid immediately. This particular scam was impersonating New England's largest energy company, Eversource. Scammers also use other tactics to get into people's wallets. It's important to be cautious of anyone claiming to be able to switch energy providers while offering extreme discounts. This could be a scam or another third-party provider using deceptive business practices. There are legitimate energy providers out there. Verify that a business is legitimate or search for energy providers on www.bbb.org. BBB offers the following red flags if consumers are contacted by someone claiming to be their utility company. Pressure for immediate payment - Scammers often demand immediate payment for an alleged overdue bill. A sense of urgency is always a red flag in any scam situation. A threat to disconnect service - Consumers are almost always threatened with being cut off from their utility unless an immediate payment is made. Eversource says they will always give a consumer written notice via mail first. A request for payment via prepaid debit cards or wire transfer - Scammers request these types of payments since they are virtually untraceable. It is extremely difficult to retrieve funds that are lost via these methods. Showing up to your home without an appointment - A legitimate utility company will never show up to your door unannounced or without an appointment. If they do, the representative should be carrying proper identification. These tips will help you stay scam free. If it doesn’t seem right, call customer service - If someone emails, calls or shows up to your door and you are unsure about their legitimacy, you can always call your utility company to verify. Never allow a stranger into your home without a scheduled appointment - Be suspicious of anyone who unexpectedly arrives at your home or business demanding immediate payment or requesting access to your dwelling to check water pipes, wiring, natural gas pipes, appliances, or other utility related issues. Don't let them in without verifying their credentials with the company first. Delete emails that you are unsure about - If you receive an email from your utility company that seems suspicious, delete it. Do not click the links, open attachments or respond. It could be a phishing scam. To see if any utility scams have been reported in your area you can check BBB Scam Tracker..